Getting to know the famous Ninja01 a little better. Don is a one-of-a-kind guy. His name might not ring a bell for everyone but if you’ve been into vintage Seiko for a while, you might be more familiar with his online pseudonyme Ninja01. Don is one of the founders of the famous Seikoholics Forum and has an extended knowledge on vintage Seiko, but not only ! He kindly took the time to answer our questions and as you’ll see, even though he is one of the most knowledgable people on vintage Seiko, with him it’s not always about Seiko. We hope you’ll enjoy getting to know a little better this unique character. What’s sure is that we had a great time talking Seiko and watches in general with him ! How long have you been collecting and how did you get into Japanese watches? 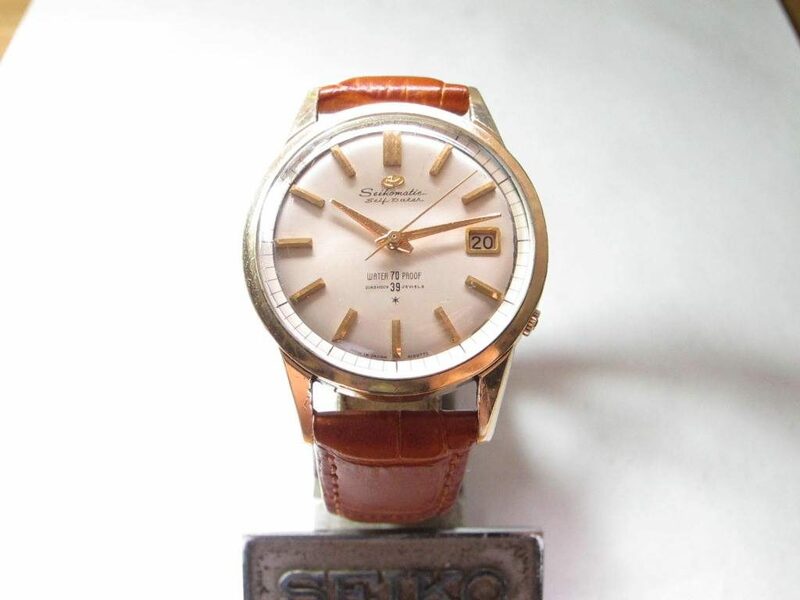 I first became aware of Seiko due to online articles by Chris Ozdoba (sp??) regarding the development of the 1st generation of commercially available auto-wind chronographs. From there, I found more articles, and a couple of infant watch forums specializing in Seiko (or Japanese production in general). And of course, I found dealer sites… and eBay!! LOL! Gradually, I found out that Seiko was not just chronographs and divers. Gradually, I found out that Seiko was a high-quality watch maker and serious entrant in the Observatory competitions in Switzerland. I also found that Seiko vintage items (and Citizen & Orient & Ricoh/Takano as well) were ‘bargain priced’ compared to the big-name Swiss. If you were to own and wear only one watch, which one would it be? Well, that is a very difficult question. I have over 100 now, of all types and from Japan, Switzerland, and the US! I’d want to have ‘one each’ for different purposes, it that would be allowed, LOL! – Dress watch: I’d have to say that of all my Dress models, I’d actually like to keep my Patek Ref. 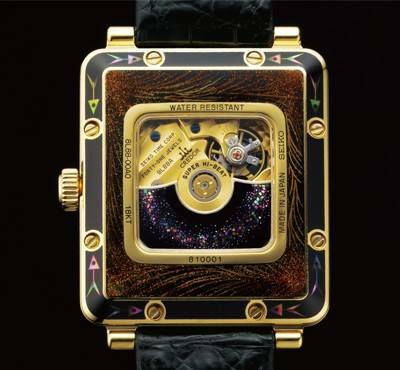 2584, 1st Generation auto-wind 12-600T calibre in 18K yellow-gold! It’s a tough decision though, as I also have Grand Seiko 43999 and a Seikomatic Chronometer 6246-9000, and the J13.080 Self-Dater in gold-cap with the cal. 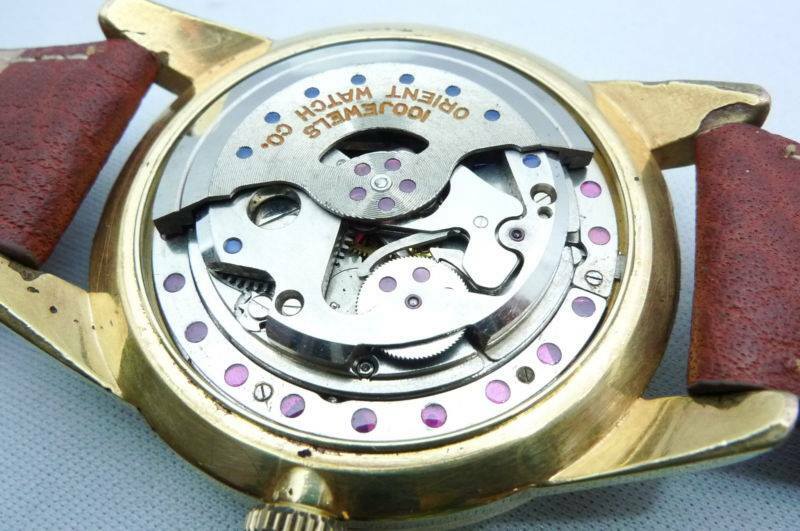 395 39j, and an 18K solid-gold Seiko Super with the Anti-shock (so-called ‘Tuning fork’) adjuster movement, along with some Girard Perregaux Gyromatic 39j models (one is a hi-beat Chronometer, while some others are low-beat cal. 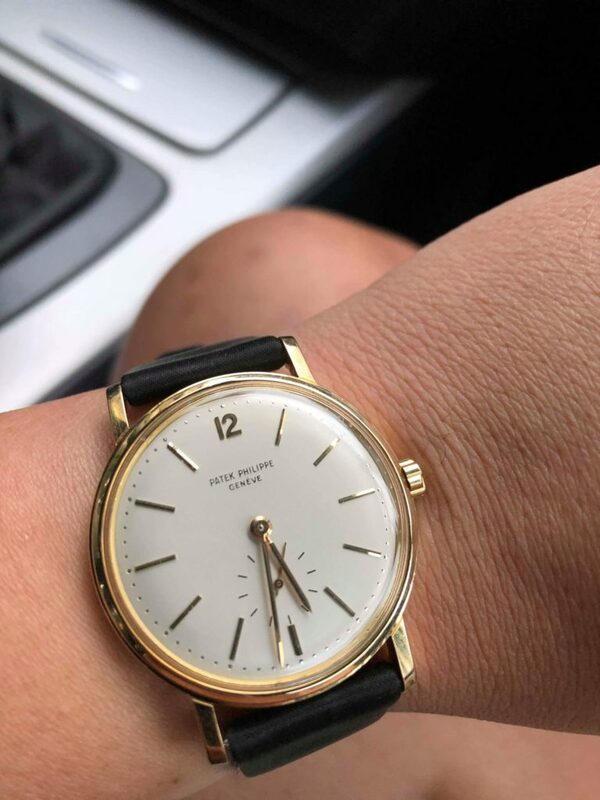 22 in gold-cap cases), and an IWC cal. 853 in 18K case. Quite tough to chose just one I’d have much more trouble chosing just one watch, than just one woman, LOL! – Diver: My Seiko 6159-7010 « Hockey Puck » … the Ti-cased 600M Pro diver. – For an « Audio » (or « Aural »??) 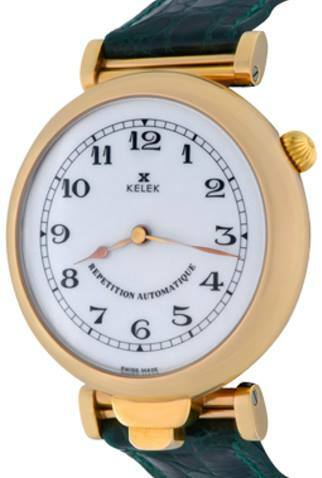 Complication: My Kelek 5-Minute Repeater! – Sporty or Casual Dress: I’ll go with Seiko on this!! 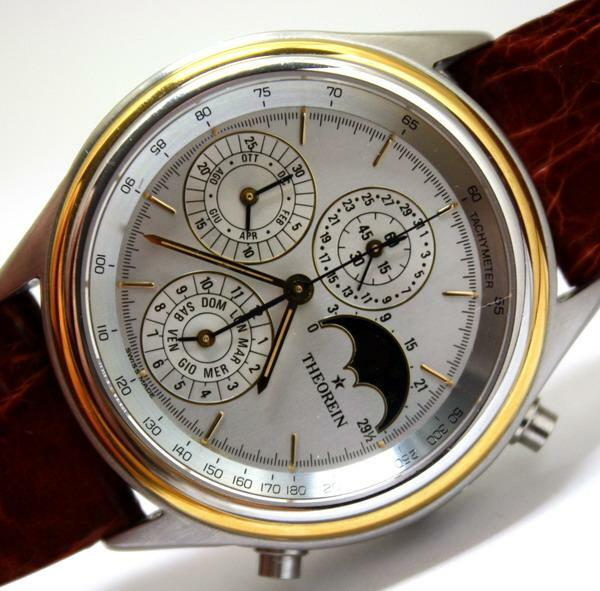 Out of my collection, I think I’d choose a 6138-7000 (if I want some ‘big iron’ on my wrist) or the 7017-6050 from Daini, that also has a slide-rule, but is smaller/lighter. Is there a watch in your collection that has a very special or personal meaning to you? 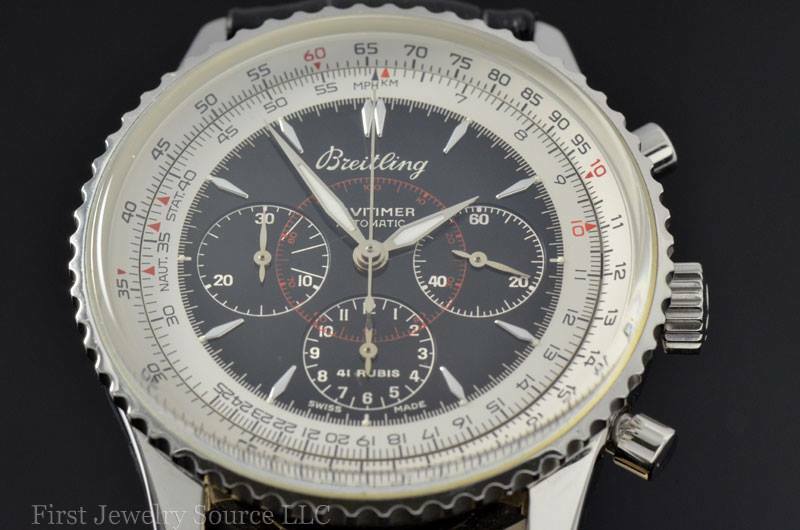 2) My 1st ‘fine mechanical watch’ … a Breitling! 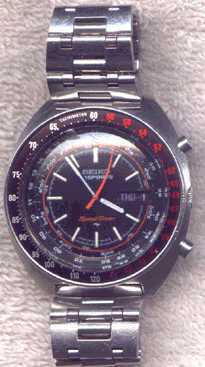 It is a Montbrillant chronograph from about 1997. I always liked the ‘aviation’ models from Breitling, with the flight-computer slide-rule. 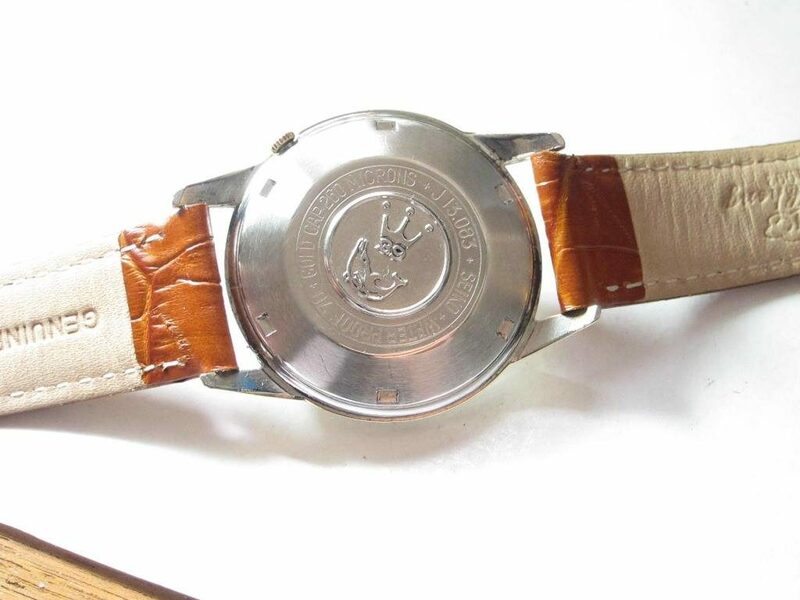 Life always got in the way of getting a fine watch, but in the late ’90s, things came together & I was able to get a ‘lightly used’ Montbrillant. I liked that line better than the Navitimer line though … a bit more ‘retro’ look, a better quality of movement, and a little smaller/lighter case than Navitimer. 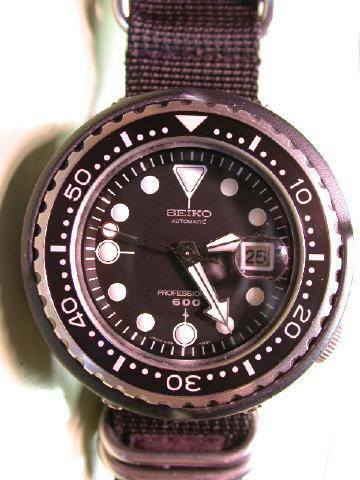 3) My Seiko 7018 Timesonar … such a beauty! And with a Flyback movement too! Of course I also have a Citizen 8110 « Spaceman » which is a hi-beat in addition to the Seiko 7018 capabilities, so it’s a bit of a tie there. 4) Seiko cal. 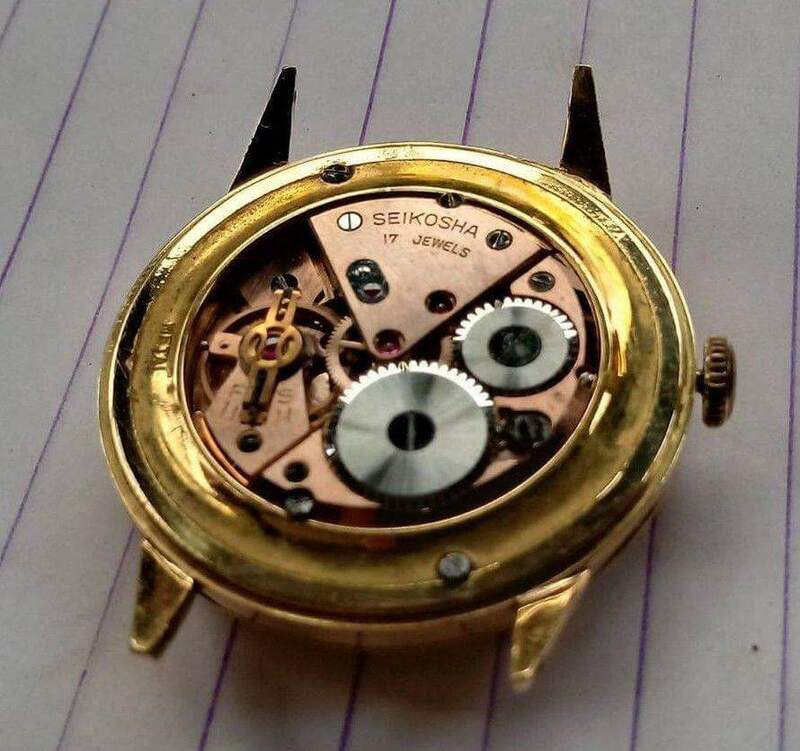 395, 39j Self-Dater in the case-style J13.083 (a gold-cap 70M Waterproof case). It is likely Seiko’s ‘trial piece’ for whether an auto-wind Grand Seiko would be accepted by the rather conservative Japanese watch-buying population. At least I have heard that theory proposed by at least one Japanese writer. In any case, it is a beauty ! I remember falling in love with the design when I saw it on a forum post in the early 2000s while in the US … it took me several years, and moving to the Philippines before finding one with a replacement crown, and some wear. Later, I found a very nice example, all correct! So, I now have two! LOL! 5) I actually have a Ricoh Dynamic Automatic, 45j of the early ’60s ! 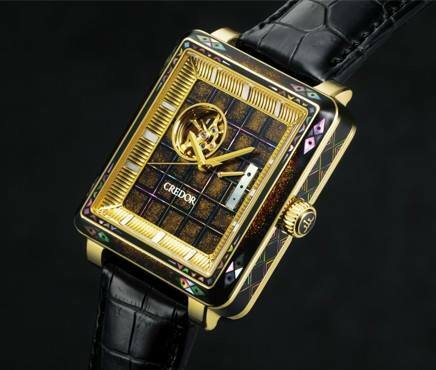 As far as I can tell, it is their best quality automatic movement, and my model is a gold-plated/steel-back version of their ‘luxury model’ (in solid 18K gold!) 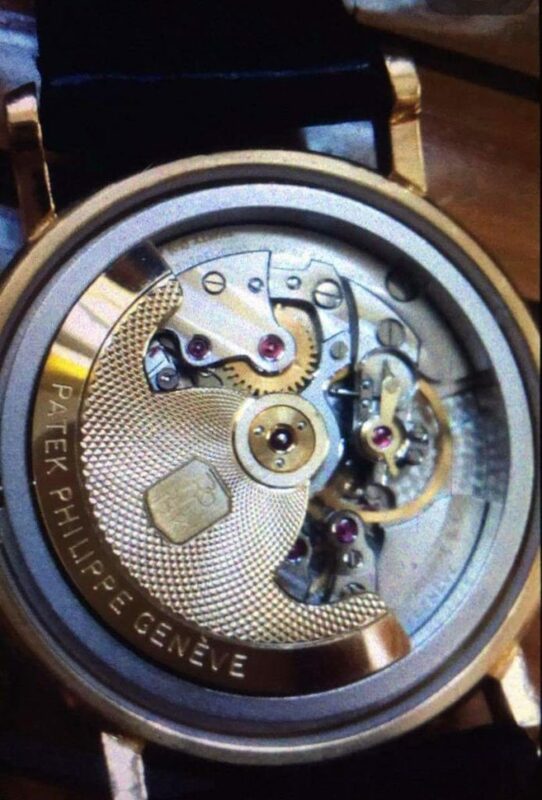 with the same movement which I saw on a Japanese collector site. Most of my « special » items are « special » to me because of what I learned about them in the course of study and then found them ‘desirable’ for some technical or historical reason. I then found them « special » after the hunt was finally over! Some took quite a bit of doing to get. Now remember, I live in the central Philippines, and only buy from within the country to avoid problems with importation and delivery. So, my ‘pool’ of candidates is rather limited compared with those (usually near Manila) who buy directly from Japan. To pick out ‘special’ items from well over 100 (I’ve lost count, LOL!) is quite a tricky proposition, and I must say ‘subjective’ … there are so many others that could qualify in some way … and on a different day, I’d likely give a different answer to this question too! Do you have a grail watch within Seiko production that you’d love to get your hands on one day? 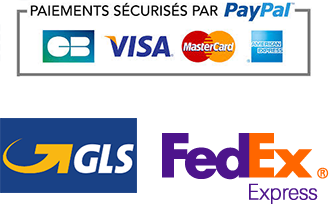 – A vintage mechanical GS VFA (either 45 or 61 family is OK) or an AOC would do nicely!! 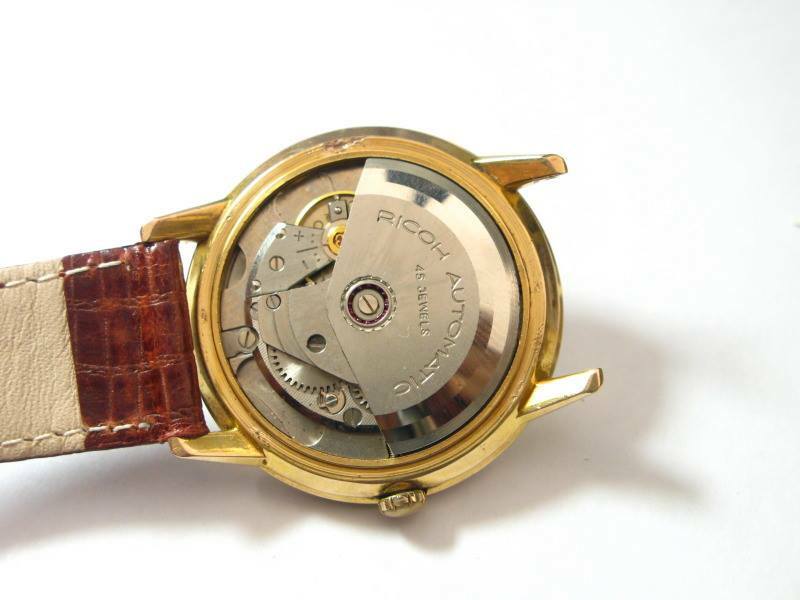 – A Credor with the 8L88 SUPER hi-beat movement (43,200bph) is also on my list of grails. Specifically: It is the model GBBX998. What is the most significant difference between Japanese and Swiss watches in your opinion? Well, that depends on the era of production. 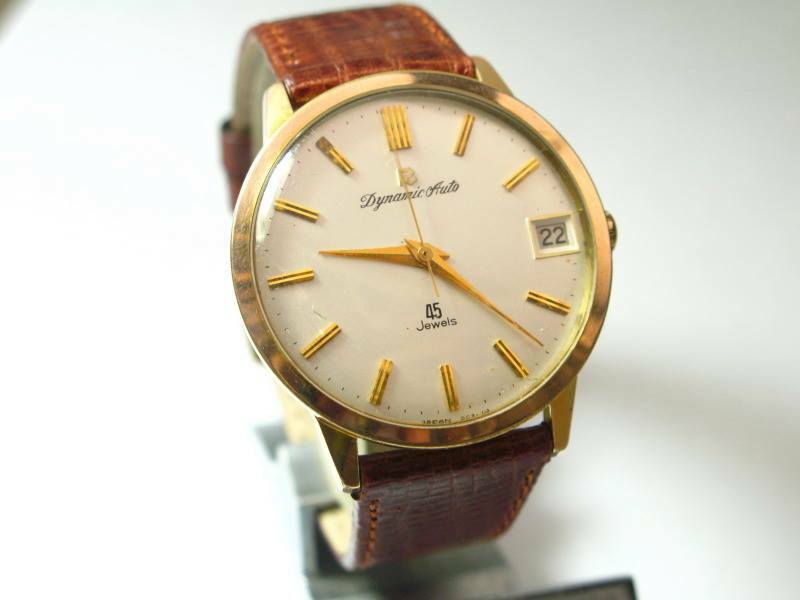 – For mid to late ’50s … the Marvel & Lord Marvel proved Japans ability to compete in the ‘fine watch’ arena, but I don’t see much differences as they had great familiarity already with Swiss designs & technique. At the end of the ’50s you start to see Specially Adjusted models at the high end of the product offerings and indigenous design (like Diashock). 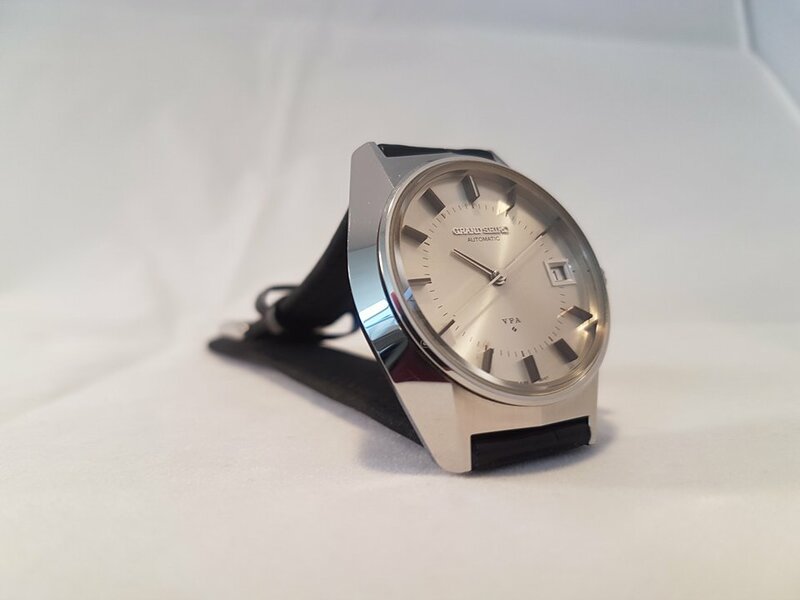 – Of course, at the start of the ’60s with the introduction of both King Seiko (1st Generation from Daini) and the 3180 Grand Seiko, we start to see the Japanese being more aggressive with the foreign competition and being more confident in their skills as movement makers. Citizen as well, with the introduction of their hand-wind Chronometer and the Jet automatic movements. Orient took a different approach… it integrated Swiss technology into it’s high-end offerings: they used the Pellaton auto-winding system from IWC in their first few generations of automatic-wind watches. They also adopted Incabloc and Triostat for their Auto-wind Grand Prix (top) models in the 1963 and 1964 timeframe. Those were the ones with the 64 and 100 jewel counts which was more marketing-hype than anything else. But, those Grand Prix models are very ‘competent’ movements! 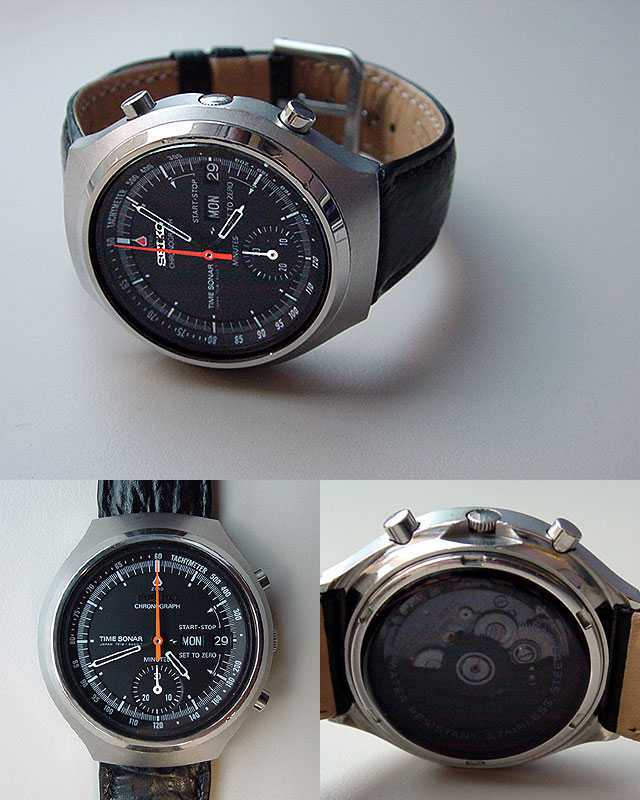 And of course, in the late ’60s there was the ‘race’ for first Auto-wind chronograph! Seiko did very well on that competition. Citizen also did respectably well, though they were later to market. 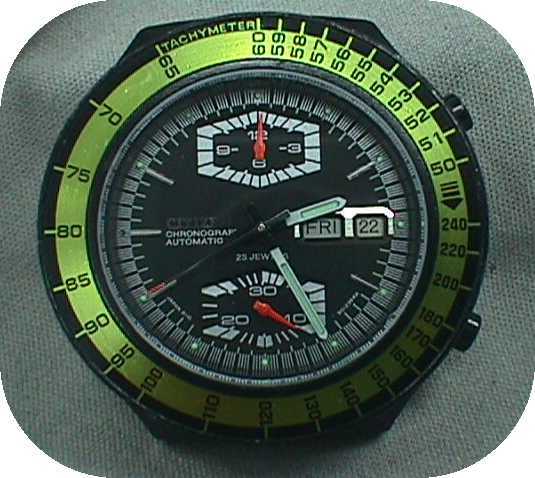 I actually like the Citizen chronographs (5700 hand-wind, 8100 & 8110 automatics) … the 81×0 calibres are high-beat offerings (unlike either Suwa or Daini product) with fly-back capability as well (like the Daini 701x family of chronograph movements)! Seiko’s entry into the Swiss Observatory Chronometer competitions shows how they had ‘grown up’ after the recovery from WWII and were now able to be taken seriously in even the highest-skill areas of watchmaking … well, other than the ‘extreme’ complication arena (perpetual calendars, repeaters, tourbillons, etc). 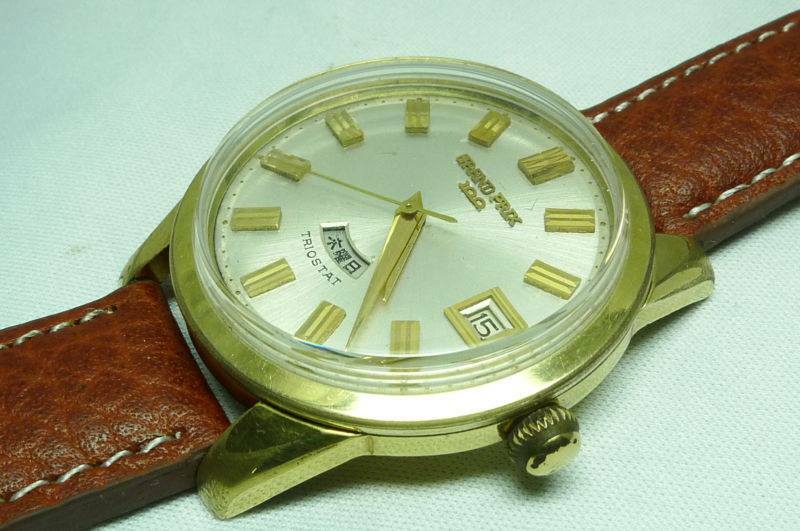 I do find that Seiko & Citizen offered more feature than the Swiss in that period. 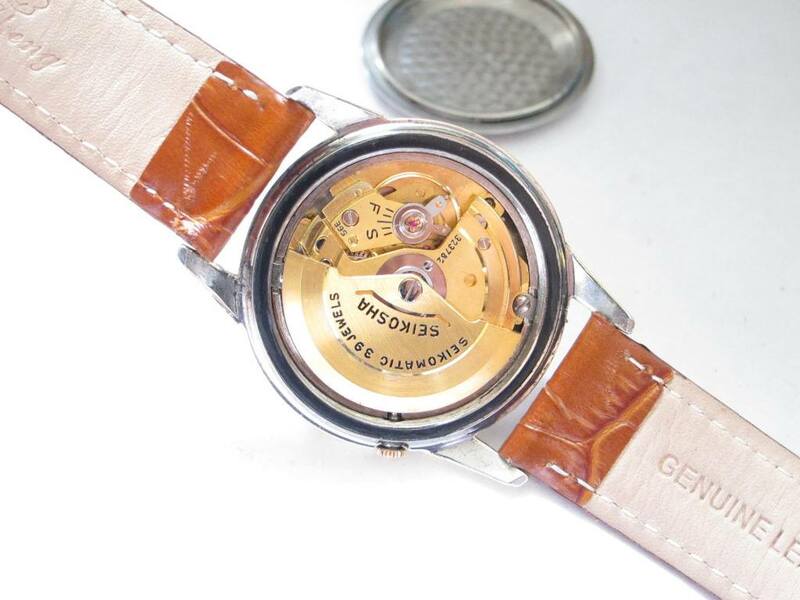 One observation about Japan vs. Swiss (in general) that I do agree with… Seiko, like Girard Perregaux – as the observation goes – cared more about technical excellence than in fine decoration of the movements. Though, looking at some of the movement plates from early ’60s and late ’50s, you can’t complain about Seiko in comparison to many Swiss brands! Of course, there are also Swiss brands that are « under-rated » today. There is frankly not much difference between a ’50s or early ’60s Cyma movement and a Jaeger-LeCoultre movement of the same era. I have both & have to say I’m very favorably impressed by the Cyma movement in comparison to the Jaeger!! The end of the ’60s into the ’70s we do see the full-development of Seiko’s expertise in the models they created for the Swiss competitions (like the 45 architecture AOC, Astronomical Observatory Chronometer) and the 61GS Special models, and the 45 & 61 VFA models. The Pro Divers of this era also derived from GS family movements … the 6215 diver uses the 6245 movement design/architecture and the hi-beat 6159 is essentially a 6155 GS Special movement. Of course, the difference is in the level of fine-adjusting and regulation for the most part. Of course, the Grammar of Design theory took hold then … other than Seiko, I am not aware of another company that actually came out with a ‘game plan’ for design of the casing in such a comprehensive way! That does set Seiko apart! Moderate levels of movement complication (chronographs of different types, calendars, even a moon-phase model) are pretty prevalent, but ‘extreme’ complications are avoided (repeaters, perpetual complications, jaquemarts,…). Probably a good marketing/business decision for Seiko, Citizen, and other Japanese makers, that allowed them to gain expertise in the areas that most watch-buyers really care about. With the release of Grand Seiko on the global market and the aggressive communication lead by Seiko, the brand has gained a lot in image and value. 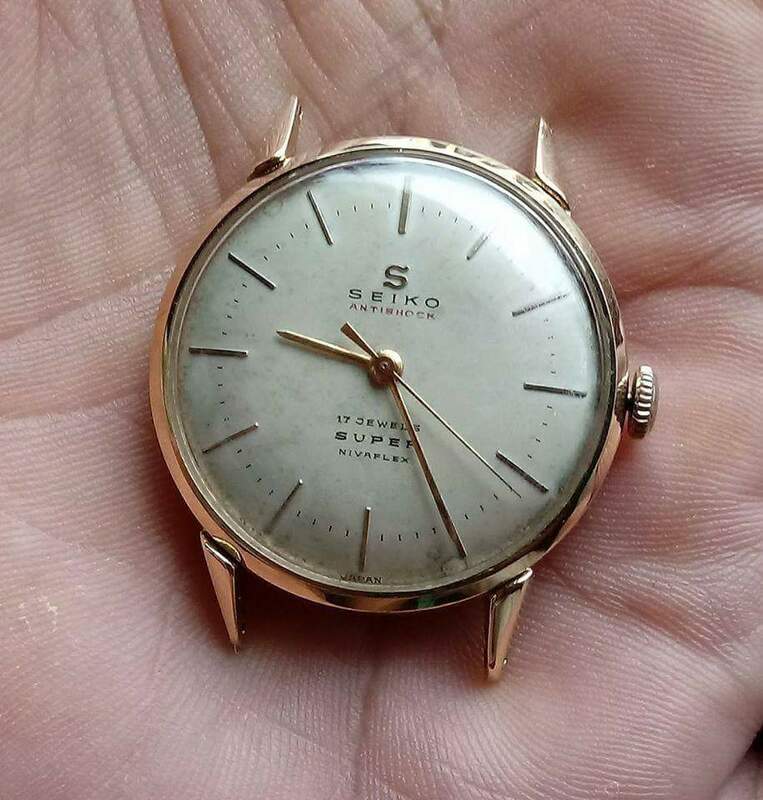 How do you imagine the future of Seiko’s and Grand Seiko’s vintage market? Well, I am not really ‘up’ on much of the modern day marketing strategy, or even product offerings! Strange as that may seem. I have tended to concentrate in studying and collecting the vintage items. But, I will say that Seiko’s international ‘thrust’ in Marketing & Sales, if patiently carried out, will eventually pay-off in greater product awareness by the general watch-buying public, and collectors too. I’ve seen this happen in the last 20 years already (mostly with vintage items). I don’t see a reason it won’t continue into the future with both vintage and new product. Again, the internet has helped to propagate knowledge and brand-awareness. 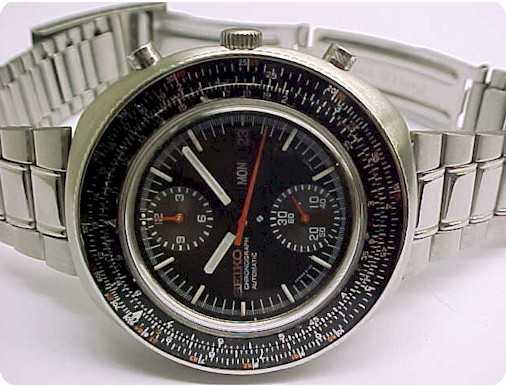 What advices would you give to someone just getting started into Seiko/GS’s vintage universe and trying to get his/her first watch? 2) Learn patience. It is hard to get into the ‘watch collecting game’ and not be overwhelmed by all the choices, and of course, the desire to start acquiring immediately!! I ‘overdid it’ with the 6138 variants of « Big/Small Eye » as the Japanese collectors called them (the « UFO » or « Yachtman » in -001x case styles). LOL! But, I can’t complain too hard about it either. In the 2000 time-frame these were so affordable & available (in the US where I was then) it really didn’t cause any harm to either my budget or my watch storage capacity. But, over time, with experience (meaning: having seen more of what was out there and how much I should pay for it) I learned to ‘temper’ my enthusiasm for the latest auction piece or « FS » item on a forum, step back, and think it over. That did allow me to ‘save ammunition’ for something really special that came along later, LOL! Thank you very much Don for taking time to answer our questions, we are really looking forward to talking again soon !